There’s always this question about how you can limit the bandwidth in your home network. Well, a middle-class router or modem/router should be able to do that. But what if you have a cheap router that doesn’t have such an option to limit bandwidth of users, or if you simply have no access to your router? Here’s where P2POver comes in handy. 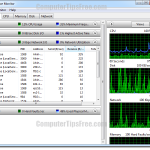 It is an absolutely free to use bandwidth management software. 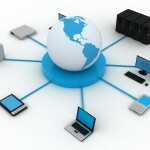 With this software, you can limit the bandwidth of any computer/device in your home network directly from your computer. However, some routers have the firewall that blocks this kind of activity, making it unusable in the network. If you’re sharing your internet with your house mates or neighbors, and you want to limit the bandwidth of each of them for a more fair-use friendly environment, you can use P2POver to limit the download and upload speed of any computer or device found in the same network. According to the author of this software, having two of this programs running within the same network will force one to quit. (Disclaimer) Please use this only if you’re authorized to do so in your network. Before we go further, I must warn you that this software might cause your computer or router to be unresponsive and you will need to restart them for them to work again. So, if this problem repeats when you use the program, please stop using it. Use this software at your own risk, we will not be held responsible for any damages. First of all, download and install P2POver. Step 1: This software is originally made by a Chinese guy. 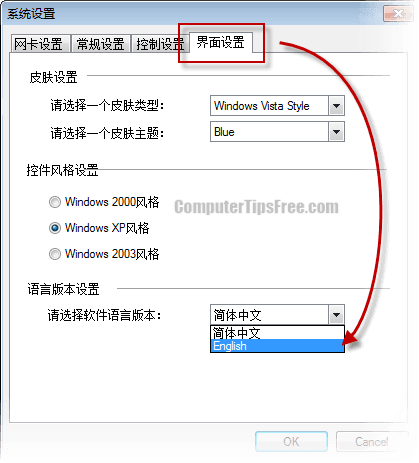 You will have to change the language of the software if you don’t understand Chinese. 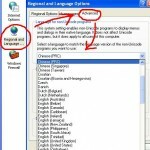 To change the language to English, launch P2POver, ignore the first pop-up at the first startup, and then follow the screenshots below to change the software’s language. 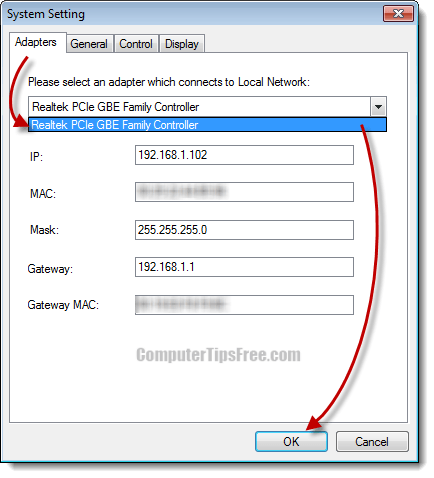 Step 2: Select the correct adapter which connects to the network. Go to Settings -> Advanced Option. Under the Adapters tab, select your adapter from the drop down menu. Step 3: Before setting the rules, we must first set the schedules of when the rules should work. Go to Settings -> Schedules Setting. Click the New button on the following window. 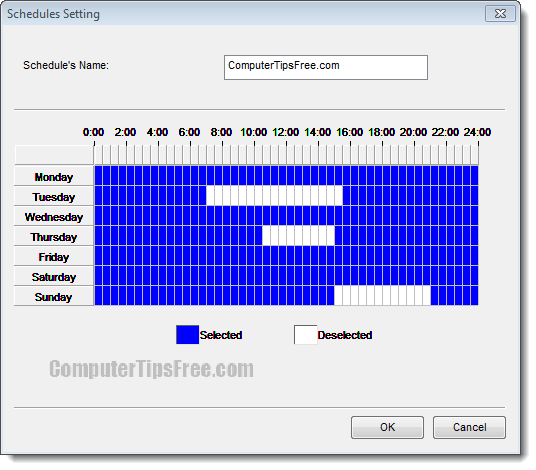 Enter a name for the schedule and start setting up your schedule based on your need. 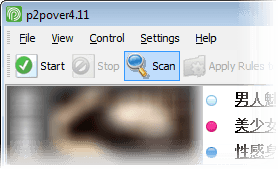 Step 5: Back on the toolbar, click on Scan to scan and detect all computers and devices connected to the network. 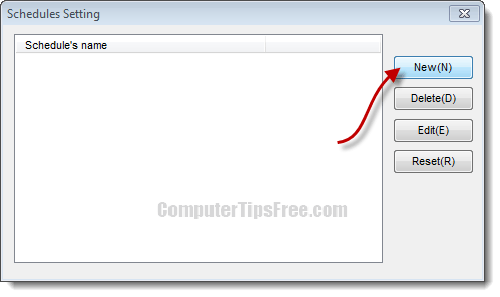 Step 6: Well, now you can select to cap whichever computer or device you want to. 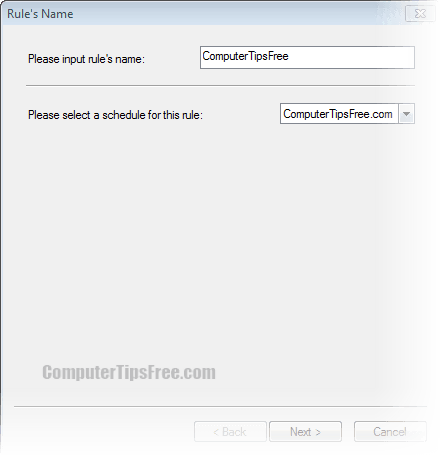 Right click the IP address of the user, select Apply Rules to Host Selected. Select the rule you just made and then click Ok. 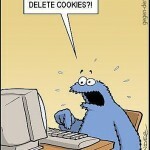 Right click the IP address again, select Control All. Lastly, click the Start button which appears beside Scan from the toolbar. That’s it! Their bandwidth should be capped now.